Inspired by the setting brewing occurring over at Nearly Enough Dice and having recently read through the Naishou Province supplement for Legend of the Five Rings I thought it was about time to properly flesh out the region of Rokugan I’m using in my current Unicorn campaign. Being relatively new to the setting I wanted somewhere outside the existing canon with the potential for plenty of combat, encounters with the spirit realms and numerous factions each aiming to upset the existing status quo. At the centre of the campaign lies Taoreta Sangaku, the Fallen Mountains, along which the PCs had been assigned to patrol (though originally I’d called them the Thunder Mountains before discovering those already existed within the official cannon). Ultimately the aim is to build the region into a full setting beyond that of the campaign along the lines of Naishou Province, full of NPCs and potential plot hooks. Taoreta Sangaku, the Fallen Mountains, stretches almost 80km end to end and forms one of the many disputed borders between provinces of the Great Clans. Despite it’s treacherous terrain and limited number of crossing points the mountain range is claimed almost in its entirety by both the Unicorn and Lion Clans due to the rich metal deposits scattered across it, with hundreds of active and abandoned mines dotted across it’s lengths. The peasants that inhabit the temporary hamlets of the mines share the peaks with both friends and foe, with both the Brotherhood of Shinsei and countless bandits attracted by the isolation of the peaks. Only the southern most portion lays uncontested, controlled by the Dragon Clan Brotherhood of Shinsei who together guard and maintain the temple complex honouring Otomo Kei, the younger brother of Hantei XIV who, alongside an entire Imperial Legion, gave his life in defence of the region. 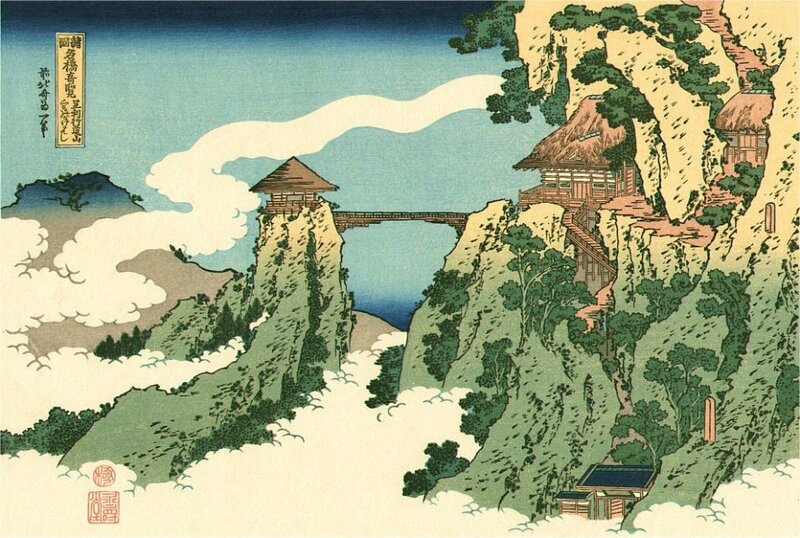 To the north of the mountains lies the great Lake Ishi, fed by the numerous streams coming off of the mountains and named after Miya Ishi, senior herald of Otomo Kei’s legion. Local legend tells that a month after the legion disappeared into the mountains Ishi alone walked out along one of the many rivers leading to the lake. Instructing the peasants to gather the nearest samurai she proceeded to the lake, where she began the ritual cleaning of her armour and daisho in preparation for her final duty. When a small group of ronin residing in the village approached Ishi charged them with delivering a single scroll to the nearest Imperial representative before requesting a second so that she could commit seppuku on the shores of the lake. Looking back towards the mountains she spoke one last time before plunging the blade into her stomach. Shirayama Toshi, the White Mountain City, sits upon the northern banks of Lake Ishi and is as disputed as the Fallen Mountains themselves. A hub of activity that has grown up around the port it is the centre of traffic in the region and co-ordinates the shipping of ore down from the mines and out to the empire at large along the Tamu River to the north. Over the years its ready access to high quality metals and quasi-unaligned status the city has attracted craftsmen, blacksmiths and merchants eager to obtain the patronage of Clan samurai and as a result the city has sprawled far beyond the original city walls, which now forms the Samurai quarter. Following repeated clashes between the Unicorn and Lion over ownership of the city control was granted to the Scorpion Clan under an Imperial mandate. With no provinces of their own nearby the Scorpion have gained a valuable foothold in the region while their reputation and limited military options ensures the Lion and Unicorn remain weary without being overtly threatened. The Scorpion, led by Governor Bayushi Saburo, have sunk countless koku into the development of the city, cementing its position as the political and economic hub of the Fallen Mountains while ensuring its success is reliant upon their continual presence. Looks like an auspicious start. May the Fortunes bless your campaign.